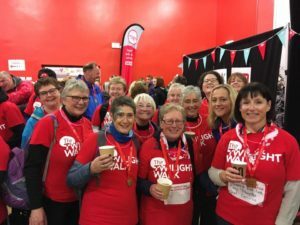 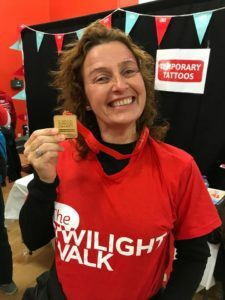 Around 60 members of Sing in the City signed up to walk in the Twilight walk on Sunday 7th October. It was a 10k walk around Edinburgh and the weather was pretty miserable however, they all had a great day walking, chatting, meeting new friends and socialising with old friends. 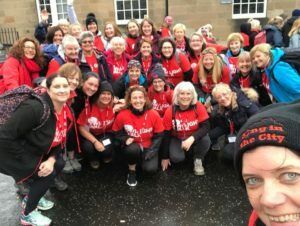 Some members walked and remembered Michaela Waddell and Shoenagh Brooke-Smith who died from a brain tumour at a very young age other members walked to remember their loved ones or just support friends. 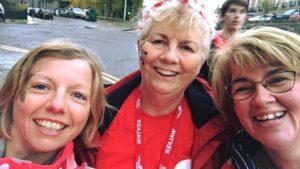 The Sing in the City Just giving page raised over £3500. 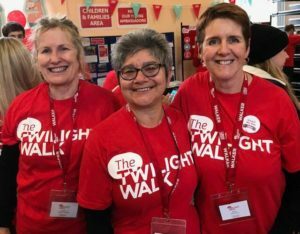 All 14 choirs had a cake bake at rehearsals the week before and raised over £1500 at that. 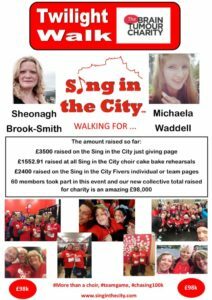 Members of the Sing in the City Fivers choir that was Shoenaghs choir raised over £2400 on their own personal fund raising pages. 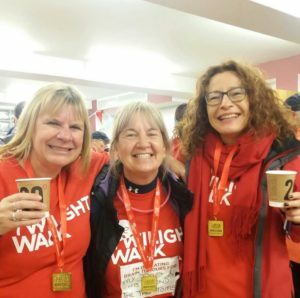 This takes our charity amount up to an amazing £98k and we have already started planning our £100k break through for early 2019.